Sign up to receive our newsletter, no purchase necessary! 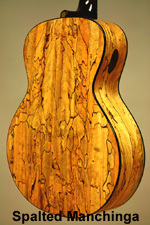 Check our NEWS page ...meet extraordinary Luthiers who use extraordinary tone woods. New Inventory! Tops and Bodies for Electric Guitars. Terra Tonewoods is NOW ON LINE FULL TIME! Design by: IDEAS & Powered by Zen Cart. Hosted By Camelot Hosting LLC.